The rejection of the peace deal between the Colombia government and the FARC rebels in a popular referendum this weekend is a blow not just to those who wished to bring FARC in from the cold and to disciples of the Good Friday Agreement-way of ending conflicts but to Sinn Fein itself, which invested considerable resources in helping to negotiate the deal in Havana, Cuba. Here are two articles, which are recommended to followers of this blog. One is The New York Times report of this weekend’s rejection of the deal by Colombia’s voters. The Times reports that voters narrowly rejected the deal because it was seen as leaning too heavily towards FARC, a sentiment many Unionist critics of the Good Friday deal shared vis-a-vis the IRA. The other is this piece in An Phoblacht-Republican News which rejoiced at the signing of the agreement in August between FARC and the Colombian government following lengthy negotiations, and credited a number of SF activists for playing a constructive role in the talks, including former IRA GHQ member and Northern Minister, Conor Murphy, Assembly Member Jennifer McCann and Dail Foreign Affairs spokesman Sean Crowe. Martin McGuinness had this to say about the deal: “(I am) overjoyed to hear Colombian peace talks in Havana have resulted in agreement to end war and conflict”. SInn Fein, via the IRA, has allegedly had a longstanding relationship with FARC. In 2001 three prominent republicans, James Monaghan, Niall Connolly and Martin McAuley were arrested at Bogota airport during what Colombian authorities would subsequently claim was a ‘drug-money-for-military-expertise’ deal in which the IRA was said to have tutored FARC rebels in the construction and use of home-made mortars in return for cash which FARC had earned through cocaine smuggling. 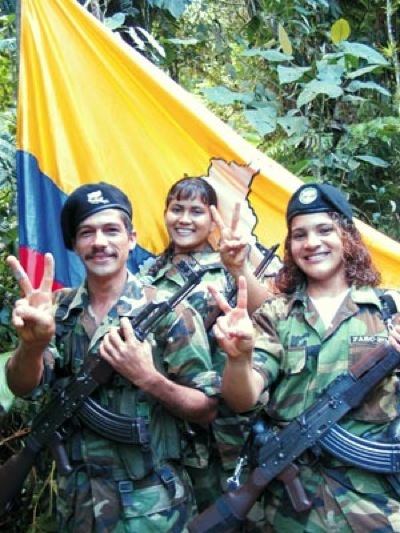 THE peace agreement reached in Cuba between the Colombian Government and the left-wing guerrillas of the Revolutionary Armed Forces of Colombia, People’s Army (FARC-EP) to end the 52-year conflict in the South American country that has seen an estimated 220,000 deaths and millions more displaced has been welcomed by Sinn Féin, which has contributed to the talks. “The Colombian Government and the FARC announce that we have reached a final, full and definitive accord,” Colombian Government and FARC negotiators said in a joint statement in the Cuban capital, Havana, that was broadcast live on Wednesday. The final text of the peace agreement will now be put to a popular vote on 2 October. Martin McGuinness tweeted that he was “overjoyed to hear Colombian peace talks in Havana have resulted in agreement to end war and conflict”. 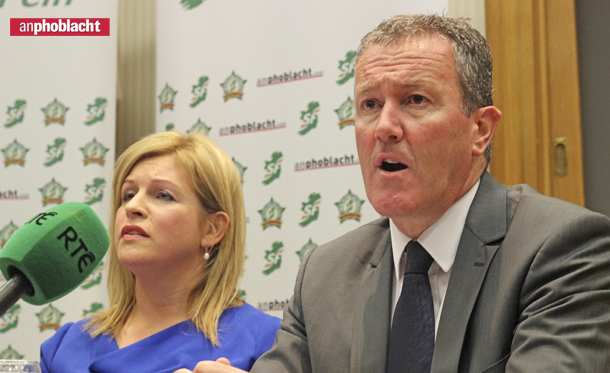 Conor Murphy MLA, one of a number of senior Sinn Féin personnel who had travelled to Cuba to meet with both sides “and share our experiences of building peace”, described the announcement as a further historic step in the process to end the longest-running conflict in the world. Sinn Féin MLA Jennifer McCann was another elected representative who met the negotiators during peace talks in Havana. After decades of devastating war, he said that no one is in any doubt that huge difficulties and challenges lay ahead. “All sides to the agreement prepare need to take risks to ensure a fair and equitable peace process is established and that this process is nurtured and built on,” Deputy Crowe said. He said the Colombian Government needs to bring to an end “the continued brutal and violent actions of right-wing paramilitary groups”. In the 30 days between 21 February and 18 March of this year, 30 political and community activists were murdered by these paramilitaries. 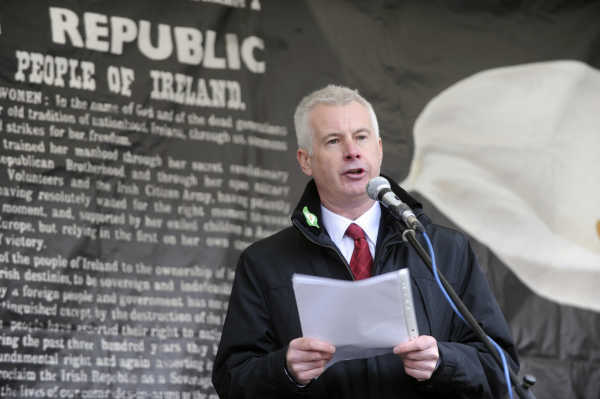 “Peace cannot grow in a climate of fear and repression,” Seán Crowe said. “The Colombian Government needs to ensure that the democratic process is open to all political groups without fear of attack or assassination. “The issue of land distribution and the millions of internally displaced by this conflict will be a huge and immediate challenge.